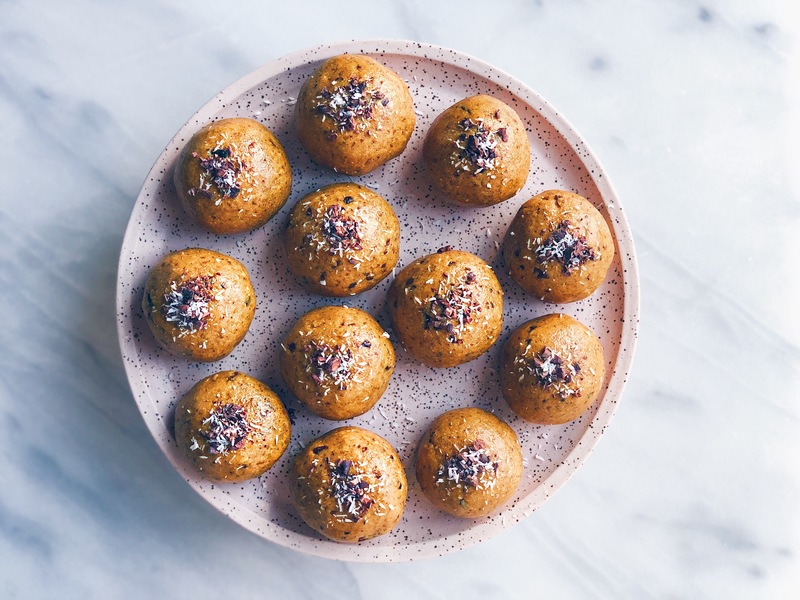 The follow up to my Walnut-Cardamom Bliss Balls, these Golden Chip Bliss Balls are just the right counterpart. 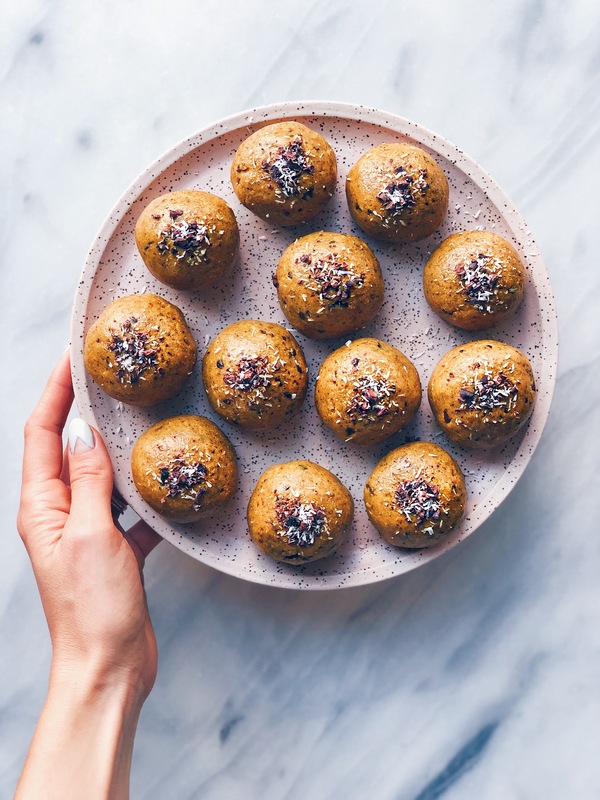 Inspired by one of my favorite drinks, Golden Milk, I wanted to create a delicious snack that’s packed with healthy fats and all the yummy spices. I love the hints of black pepper in these. The perfect balance of sweet and savory. Made from almond meal and a mix of creamy coconut butter and almond butter, I added cacao nibs for a little crunch. If the Walnut-Cardamom Bliss Balls are like little donut holes, these guys are like little cookies. I hope you guys love them as much as I do! 1.) Process all ingredients except cacao nibs in a food processor until a sticky ball of dough forms. Add in cacao nibs and pulse several times until chips are well combined in dough. 2.) Gently roll dough into 1-2″ balls. Garnish with shredded coconut and finely chopped cacao nibs. oo I’m allergic to nuts, so this is a good tip! Is flaxmeal the go-to to sub for almond meal in your ball recipes, Alison? I’m really curious about how these were with flax meal! Hi Alison! 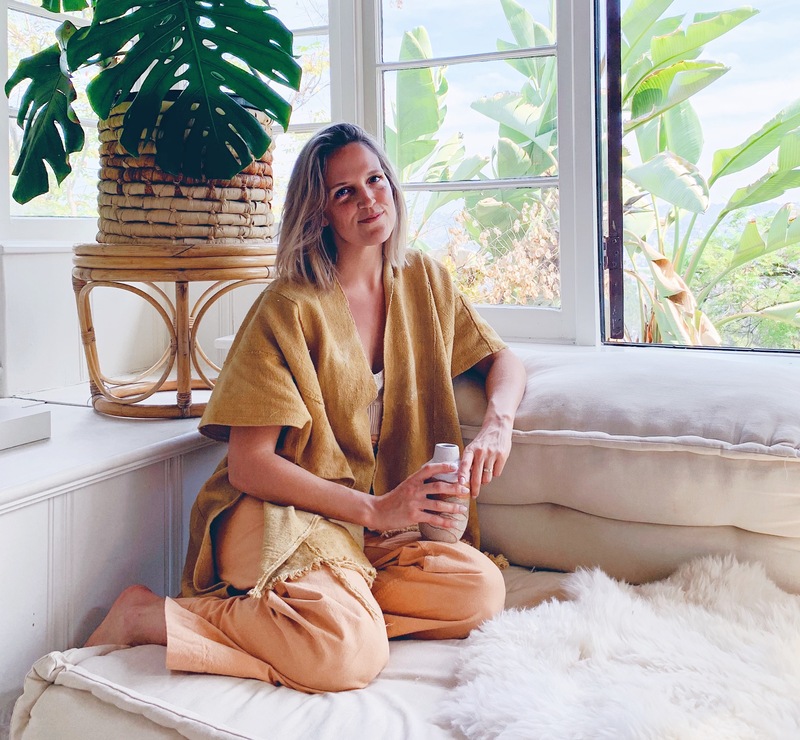 Where do you get your maca and is there much of a difference between powder & the gelatinized powder?